Pet lovers, as it turns out, get more than cuteness and companionship in caring for their pets. Studies suggest that owning a pet may actually prolong your life, by improving your physical and mental health altogether. As an all-natural healthcare approach that treats the body as a self-regulating, self-healing organism, chiropractic care focuses on the organic connection that exists between the mind, body, and spirit. Quite incidentally, caring for a pet enriches all three aspects of optimal wellness. As such, pet ownership easily complements the chiropractic lifestyle. Apart from being non-judgmental sources of unconditional love, there are many ways that caring for pets enhances emotional health. For instance, a random survey conducted on 339 adult residents living in Perth, Western Australia reported that owning a pet improves social contact and interaction. The survey notes that pet ownership elicit perceptions of friendliness. Apart from increasing social connections, pet ownership also creates semblance of an extended family. 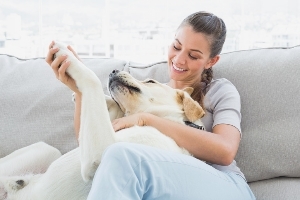 A related study notes that most pet owners regard their fluffy, furry, and feathery companions as family members who provide emotional support and connection. This aspect of pet ownership is especially beneficial to elderly people who are often overwhelmed by feelings of isolation, loneliness, and despair. Researchers at the National Center for Infectious Diseases report that caring for a pet improves the opportunity of engaging into a regular exercise routine, along with outdoor activities and socialization. A Canadian study that involved 1,054 individuals reported that pet owners are generally more active than non-pet owners. This report is particularly true among individuals who care for dogs. Operating on the fundamental understanding that the body is a self-healing, self-regulating organism, Hinterland Chiropractic offers the very best lifetime family care in the local Gold Coast community and its neighbouring regions. Claim comprehensive chiropractic consultation for only 45$ by booking an appointment with your local Chiropractor Gold Coast at Nerang. Call us today on 07 5527 3133. Or simply book an appointment online.